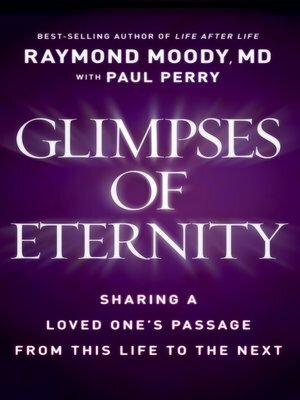 In this groundbreaking new book, Raymond Moody, Jr., MD, PhD, named the "father of near-death experiences" by The New York Times, explores the provocative and intriguing question: Is it possible to share a loved one's passing from this world to the next? Dr. Moody's seminal work Life After Life completely changed the way we view death and dying, and this new work continues his research and proves the existence of an afterlife. Based on multiple firsthand accounts and in-depth interviews with people who have had shared-death experiences, Glimpses of Eternity offers a scientific model for how these moments could actually happen. Dr. Moody reveals compelling evidence of people sharing their loved ones' first moments of their journey from this life to the next, including a wide range of case studies and his personal experiences during his own mother's passing.